College Board BigFuture– A website with information on colleges, scholarships, and college planning. College Navigator– A great website for finding colleges and learning about their cost of attendance, safety, and many other attributes. www.bestcolleges.com– A website that provides information and rankings of colleges. CollegeXpress– A website for matching students with colleges and scholarships. Fairtest.org– Site lists colleges that deemphasize the role of testing in the admissions process. 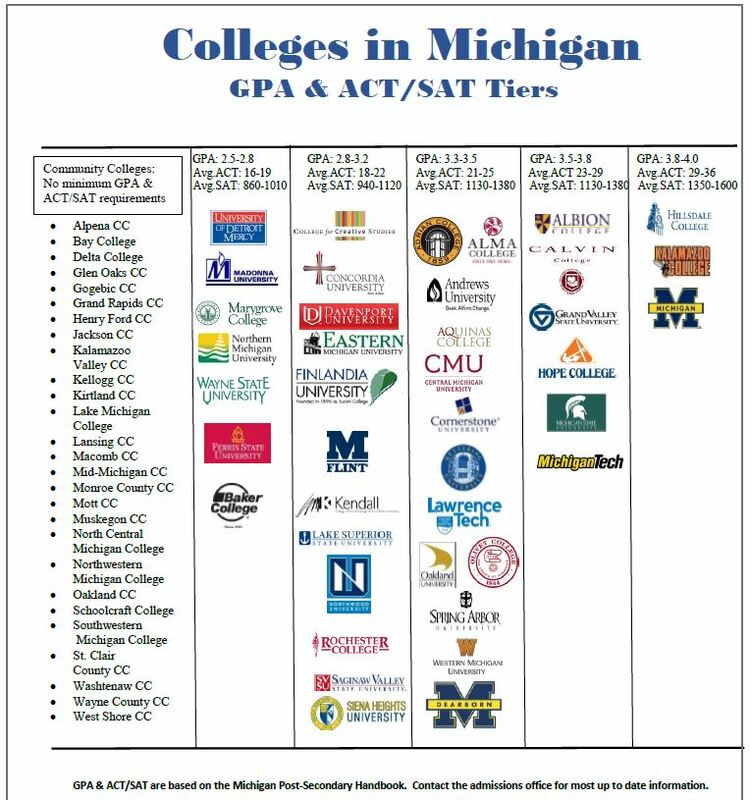 Michigan Student Scholarships and Grants (MISSG)– If you qualify, you should register on this site for the Tuition Incentive Program and the Michigan Competitive Scholarship. College Board Scholarship Search– The scholarship search page in the College Board BigFuture site. FastWeb– A good website for finding scholarships.